Open House, the first book in Pool of Souls series, has a new name and a new look! Open House is now Aphrodite's Call and what do you think about the new cover? 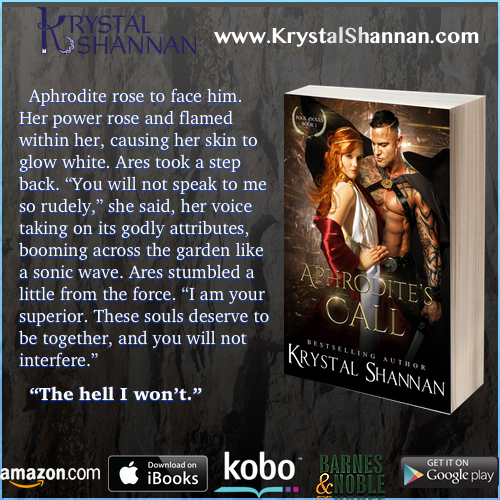 Check out Aphrodite's Call now for FREE! Rebecca Carol and Robert Corvin missed their chance to fall in love when Ares, God of War, took control of Robert's career. Rebecca's and Robert's souls have naturally pulled them back together for a second chance, but… How far will Ares go to get his own way?